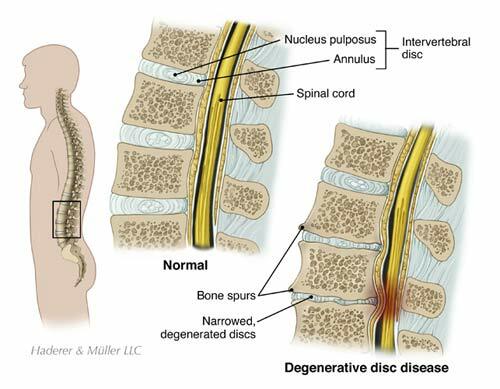 Degenerative Disc Disease is a condition that causes the intervertebral discs in the spine to deteriorate or breakdown. Intervertebral discs are the shock-absorbing pads located between your vertebrae. The vertebrae are the series of bones that make up your spine. Degenerative Disc Disease can occur in any part of the spine. It develops more frequently in the lower back. Aging can cause the discs to lose fluid, collapse and sometimes rupture. This decreases the space between the vertebrae, which is why some people become shorter as they age. As the disc deteriorates, it affects the structure of the vertebrae. These changes can lead to conditions that put pressure on the spinal cord and nerves. Most symptoms of pain can be treated non-surgically. However, surgery is recommended if the spine is unstable or when pain cannot be relieved by other means. Degenerative Disc Disease is a condition that causes the intervertebral discs in the spine to deteriorate or break down. Intervertebral discs are the shock-absorbing pads located between your vertebrae. The vertebrae are the series of bones that make up your spine. The spine is made up of a series of bones called vertebrae. There are different areas of the spine, defined by their curvature and function. Your neck contains the cervical spine. It is composed of seven small vertebrae. Your chest area contains the thoracic spine, with 12 vertebrae. The lumbar spine is located at and below your waist. It contains five large vertebrae. The remainder of the lower vertebrae in the spine are fused or shaped differently in formation with your hip and pelvis bones. The back part of each vertebra arches to form the lamina. The lamina creates a roof-like cover over the back opening in each vertebra. The opening in the center of each vertebra forms the spinal canal. Your spinal cord, nerves, and arteries travel through the protective spinal canal. The spinal cord and nerves send messages between your body and brain. Intervertebral discs are located in between the cervical, thoracic, and lumbar vertebrae. The discs are made up of strong connective tissue. Their tough outer layer is called the annulus fibrosus. Their gel-like center is called the nucleus pulposus. A healthy disc contains about 80% water. As we age, our discs lose water content. Our discs become shorter and less flexible. Once the discs are injured, they do not have the blood supply to repair themselves and they deteriorate. Without the protective disc, the spine can become structurally unstable and unable to tolerate stress, which may lead to other conditions. Normally, the intervertebral discs act as a cushion between the vertebrae. When a disc degenerates, painful bone on bone rubbing can occur. Abnormal bone growths, called spurs or osteophytes, can grow in the joint and enter the spinal canal. The bone spurs add to pain and swelling, while disrupting movement. The changes in spine structure can cause one vertebra to shift forward and out of place, a condition called Spondylolisthesis. Without the disc to act as a cushion, the ligaments and facet joints on the vertebrae may enlarge to help compensate for the stress on the spine. The overgrowth can extend into the spinal canal causing it to narrow. The narrowed spinal canal can compress the spinal cord and nerves, resulting in pain and loss of function, a condition called Spinal Stenosis. Degenerative Disc disease can also lead to a herniated disc. The outer disc layer, the annulus, can tear or rupture under stress. A herniated disc occurs when the annulus ruptures and the inner contents, the nucleus pulposus, comes out of the disc. When the inner contents come in contact with the spinal nerves they become irritated and swell, resulting in pain. Degenerative Disc Disease can occur in any region of the spine. It most commonly occurs in the lumbar area. Doctors are not sure of the exact cause of Degenerative Disc Disease. It appears that the aging process, trauma, and arthritis contribute to the condition. Doctors suspect that genetic, environmental, and autoimmune factors play a role. Additionally, lifestyle factors, including smoking or strenuous repetitive activities, such as gymnastics or lifting, may contribute to disc degeneration as well. Degenerative Disc Disease develops most frequently in middle aged or young adults with active lifestyles. Degenerative Disc Disease may or may not cause symptoms. If you have symptoms, you may feel various types of pain in your back or neck. You may experience sudden pain after an injury or your pain may start gradually and increase over time. Your pain may be so intense that it interferes with your daily activities. You may feel burning pain, pressure, numbness, or tingling. Sitting may make your symptoms increase, whereas lying down may help to relieve pain. Depending on where your degenerative disc is located in your spine, your arms or legs may be affected as well. In rare cases, the loss of bowel and bladder control accompanied by significant arm and leg weakness indicates a possible serious problem. In this rare case, you should seek immediate medical attention. Your doctor can diagnose a degenerative disc by performing a physical examination and viewing medical images. Your doctor will ask you about your symptoms and medical history. You will be asked to perform simple movements to help your doctor assess your muscle strength, joint motion, and stability. Since the nerves from the spine travel to the body, your doctor will perform a neurological examination of your arms and or legs to see how the nerves are functioning. Your doctor will order X-rays to see the condition of the vertebrae in your spine. Sometimes doctors inject dye into the spinal column to enhance the X-ray images in a procedure called a myelogram. A myelogram can indicate if there is pressure on your spinal cord or nerves from herniated discs, bone spurs, or tumors. Your doctor may also order Computed Tomography (CT) scans or Magnetic Resonance Imaging (MRI) scans to get a better view of your spinal structures. CT scans provide a view in layers, like the slices that make up a loaf of bread. The CT scan shows the shape and size of your spinal canal and the structures in and around it. A CT scan is useful for determining which disc is damaged. Your doctor may inject dye into the disc in a procedure called a discogram. A discogram provides a view of the internal structure of a disc and can help to identify if it is a source of pain. It is usually immediately followed by a CT scan. The MRI scan is very sensitive. It provides the most detailed images of the discs, ligaments, spinal cord, nerve roots, or tumors. X-rays, myelograms, CT scans, and MRI scans are painless procedures. Non-surgical treatments for Degenerative Disc Disease are designed to relieve pain and restore function, but they can not correct structural deformities, such as narrowing of the spinal canal. Surgery is recommended when non-surgical treatments have provided minimal or no improvement of your symptoms. Surgery is advised if the disc is pressing directly on a nerve or the spinal cord, causing considerable loss of function. Surgery is also advised if your leg weakness becomes progressively worse or if you experience associated bladder and bowel problems. The type of surgery that you have will depend on the location of the degenerative disc in your spine and the extent of your condition. Spinal Fusion is the type of surgery most frequently used for degenerative disc disease. Spinal Fusion involves removing the degenerative disc and fusing or securing two or more vertebrae together to stop movement and relieve pain caused by movement. There are various techniques for spinal fusion surgery and the area of the spine that is involved determines the approach. Your doctor will let you know what to expect. You will be sedated for the surgery. Your doctor will perform the surgery from the front or back of your spine, depending on the region of the spine that is affected. For a posterior surgery used for the lumbar region, your surgeon will make an incision on the middle of your spine. For an anterior surgery used for the cervical area, your surgeon will make an incision on the middle of your neck. Your muscles and other structures will be moved aside with care to allow access to the vertebrae. 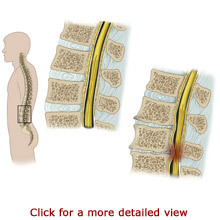 Your surgeon will remove all or part of the degenerative or herniated disc. Next, the surgeon places a bone graft or interbody fusion cage in the empty disc space. A bone graft consists of small strips of bone taken from your hip during surgery. Sometimes allograft bone from a donor is used. The bone grafts are placed between the vertebrae. An interbody fusion cage may be used. It is a small container filled with bone shavings and placed between the vertebrae. The bone grafts or interbody fusion cage are surgically secured to the spinal column with surgical hardware, such as screws and plates in the neck, and screws and rods in the lumbar spine. The surgical hardware secures the vertebrae together and allows the bone grafts to heal, fusing together the vertebrae. At the completion of your spinal fusion, your surgeon will close your incision with stitches. You will receive pain medication immediately following your surgery. You will wear a back or neck brace, depending on the location of your surgery, while your fusion heals. The recovery process is different for everyone. It depends on the type of surgery that you had, the area of your spine affected, and the extent of your condition. Generally, the recovery time for a fusion in the cervical area is four to six weeks. Spinal fusion in the lumbar area has a longer recovery time. Your surgeon will let you know what to expect. You should expect to stay overnight or a few days in the hospital, depending on the type and location of your surgery. You may need a little help from another person during the first few days or weeks at home. If you do not have family members or a friend nearby, talk to your doctor about possible alternative arrangements. 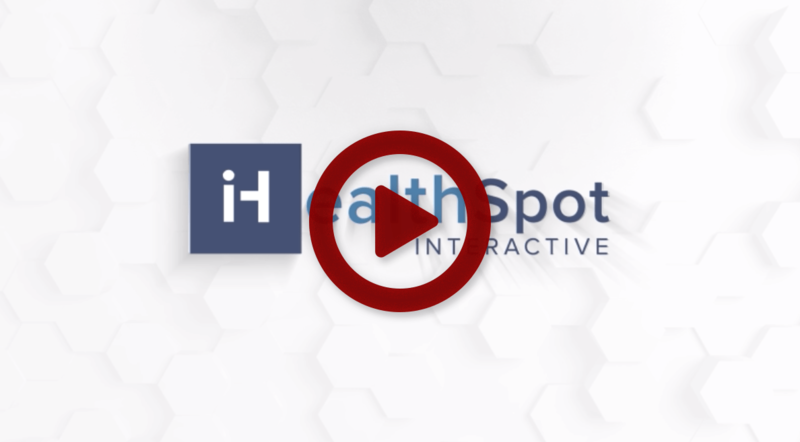 Your doctor will initially restrict your activity level and body positioning. You should avoid lifting, housework, and yard-work until your doctor gives you the okay to do so. You will wear a neck or back brace for support. You will gradually increase your activity level. Once your fusion has healed, physical therapists will teach you strengthening exercises. You will also learn body mechanics, proper postures for your spine, to use when you stand, sit, sleep, and lift objects. It is important that you adhere to your restrictions and exercise program when you return home. You should use proper body mechanics during all activities. Do not smoke. Smoking increases the risk of surgical complications and hinders bone fusing.